Anxiety has been likened to quicksand — it is a mindset that is difficult to escape. Rates of the condition appear to be on the increase and people diagnosed with generalized anxiety disorder are at greater risk for a number of health problems including gastrointestinal disorders, heart disease and migraine headaches. Traditional treatments for chronic anxiety include tranquilizers, antidepressants and beta-blockers, but each of these medications entails severe side-effects. As a result, psychologists, psychiatrists and medical practitioners (not to mention patients) are on the lookout for safer and more effective treatment options. Of late, both marijuana and meditation have generated interest as alternative approaches to counteracting anxiety. How effective are they in alleviating mental distress? Here’s what you need to know. Several studies have found that cannabis can reduce depression and anxiety. These are rather heady days for cannabis. In case you’ve been tuning the news out, the World Health Organization has convened a special session to review marijuana’s medical status, Dr. Sanjay Gupta wrote an open letter explaining the evidence-based benefits of using pot to ease the opioid epidemic, and former Speaker of the House, John Boehner, just joined the board of a cannabis startup. When a lifelong Republican (who used to be used to be an anti-pot crusader) joins a marijuana firm’s advisory board, then you know it’s only a matter of time before weed-based businesses start sprouting up nationwide. Cannabis is also generating a lot of positive news buzz in other areas too. Recently, a number of studies have concluded that the herb can significantly alleviate anxiety, stress and depression. Findings like these are giving many people high hopes that compounds found in marijuana (most notably CBD) may help individuals suffering from mood disorders and psychiatric conditions like PTSD. Research published in the journal Neuropsychopharmacology found that the CBD in cannabis “significantly reduced anxiety, cognitive impairment and discomfort” in patients suffering from social phobias and conditions like seasonal affective disorders. In 2012, researchers reported that compounds in cannabis offered enormous potential for treating anxiety and other mood disorders. In the past, studies investigating marijuana’s effect had been mixed, but scientists believe the primary reason for this is that previous research did not distinguish between CBD (known for its calming effect) and THC (a compound that can induce temporary feelings of paranoia). Meditation should be the first-line treatment for anxiety and depression. On the other hand, studies suggest that meditation offers unequivocally positive benefits when it comes to alleviating anxiety, but without any known downside. Confirmation of that meditation can mitigate anxiety can be found on multiple fronts. For example, recently researchers investigating meditation techniques presented impressive study results at an annual Experimental Biology conference. In fact, the evidence supporting meditation as a first-line treatment for anxiety and depression is especially persuasive because it has been confirmed in a number of ways. EEG electrodes used to measure brainwave activity show that meditation induces more relaxed mental states. Neuroimaging and MRI studies show that meditation, yoga, and Tai Chi impact brain structure in a positive way. Numerous other studies confirm that meditative practices reduce biomarkers correlated with coronary artery disease. Taken together, the evidence is overwhelming that meditation (and related mindfulness activities like yoga and tai chi) counteracts anxiety and stress. The evidence that cannabis can reduce stress and anxiety is also persuasive and encouraging, but it is not as unequivocally positive as the data supporting meditation. 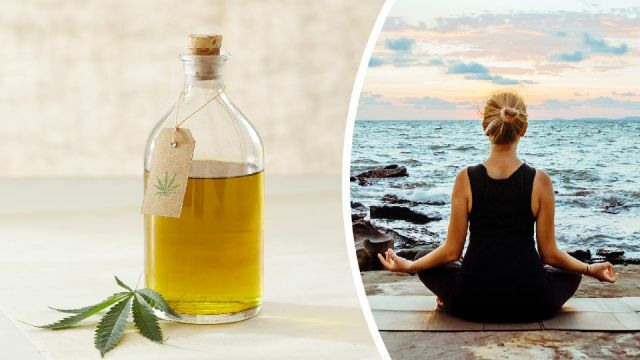 Thus far, the research appears to suggest that low doses of strains that are high in CBD (but low in THC) appear to be the most efficacious when it comes to reducing anxiety. 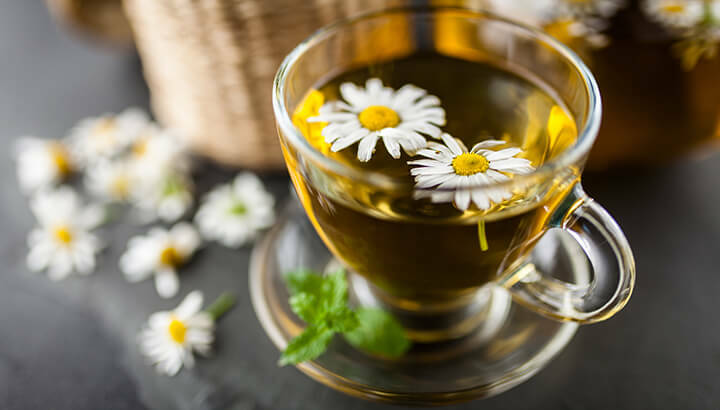 In addition to meditation, try stress-busting foods and drinks, like chamomile tea. Anxiety is a part of the human condition and no one is immune from it. But when it starts to interfere with your life, then take a deep breath and consider these wise words from Deepak Chopra: “The best use of imagination is creativity. The worst use of imagination is anxiety.” Anxiety may be a part of your life, but it should not define or circumscribe it. 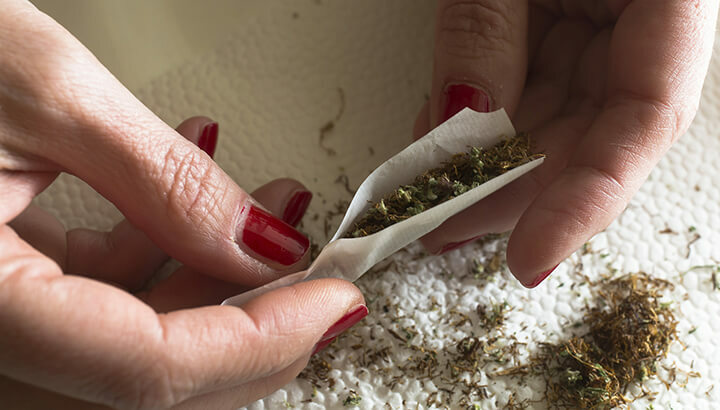 Hey Buddy!, I found this information for you: "Should You Get High Or Get Still? Meditation Vs. Marijuana For Anxiety Relief". Here is the website link: https://www.thealternativedaily.com/meditation-versus-marijuana-for-anxiety-relief/. Thank you.